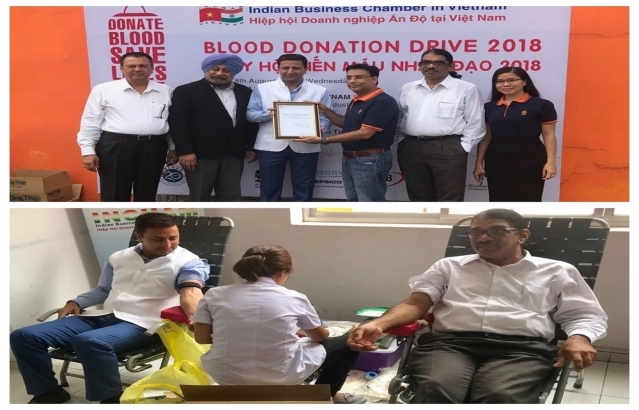 Blood Donation Drive 2018 organised by INCHAM on 8 August in Long Anh Province and on 12 August in Ho Chi Minh City in coordination with Blood Transfusion Hospital in Vietnam and with the active support of Ho Chi Minh City Union of Friendship Organisations (HUFO) Vietnam-India Friendship Association (VIFA) and this Consulate. The event is held annually by INCHAM and well appreciated by the Vietnamese community and government authorities. Consul General Dr. K. Srikar Reddy also donated blood on 12 August 2018.